Strong branding gives people a very clear impression of your company and its products and services. For campaigns to be effective, brand elements must be consistent and designed to help you stand out from the competition. These may include your company name, logo, tagline, colors, messaging and even your jingle. The key is to ensure all elements are consistent across every channel - from radio to social media. This will boost the effectiveness of your brand awareness campaign, and make it more likely that consumers will recognize and recall your brand. One of the biggest mistakes is to end a branding campaign before it has a chance to work. 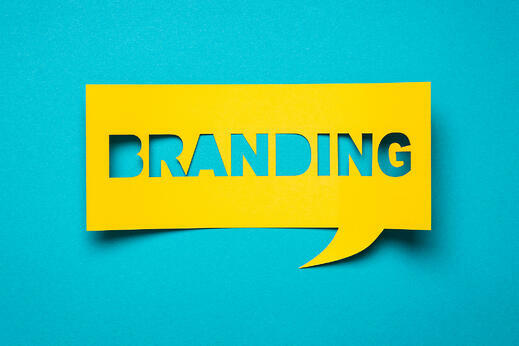 Be prepared to stay in it for the long-term – branding requires consistency in order to become recognizable to consumers. In fact, it can take six to twelve months to see measurable results from such campaigns. For this reason, patience is key when it comes to building brand awareness. Trust is a key factor in consumer buying behavior. When customers trust a brand, they’re more likely to make repeat purchases with little to no forethought. This turns trust into loyalty, which can support long-term revenue growth. Brand awareness campaigns can foster trust in a number of ways, including through storytelling, leveraging trusted influencers and showcasing company personality. When done properly, a consumer should have no doubt in their mind that your brand can be counted on to provide top-quality products and services. The most successful brand awareness campaigns use platforms that reach a large number of people at once. Social media, radio and other mass media are great for this. Allocate your budget accordingly so that you can maximize your ad spend and bolster your results. There are other benefits to using high-reach platforms like radio and social media, such as great targeting abilities, access to social influencers and the ability to maximize frequency - which is essential to increasing awareness. Brand awareness campaigns work two-fold: they help to increase your company’s visibility and drive desired customer action. According to data from WordStream, brand affinity increases click-through rates and conversion rates by 2-3x. This is important to know, as it can help guide ad creative and implementation. Building brand awareness takes time, but it is well worth the wait. Once people know your brand well, they'll be more likely to trust it, which can lead to repeat purchases and more sales. It also increases the chance of people engaging with your brand in other ways, buying your products and services, and becoming a lifelong customer. For help in creating a successful branding campaign that utilizes radio, social media, and other channels, contact Zimmer Radio & Marketing. We are experts at crafting campaigns that work for businesses like yours.